“Increased sales by 10%”. I often see statements like this on resumes and it drives me crazy. How and why is this achievement relevant? Sure, any discerning employer wants to see sales growth, but 10% of what? If sales went from $100,000 to $110,000 and the goal was to double revenue for a specific product line, you can see why the lack of information begs the question — was this enough and against what objective? Similarly, I often see statements like, “Increased revenue by $50,000”. 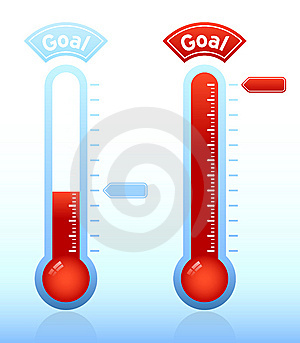 Again, what was the goal or benchmark? How do I know if this is a significant achievement? This is why it’s critical to qualify and quantify your accomplishments. Anything short of this will make your “results” seem as if you really under-delivered by a yard. To over-deliver by a mile you need to unambiguously demonstrate the measurable impact you had upon the company or a specific initiative. Management is always looking for results that can be quantified and qualified. Since this seems to be missing from so many resumes, those that follow this rule will certainly gain credibility and attention. Read more tips on Resume and Pitch Strategies and other topics on the Get What You Set web site. This entry was posted on Tuesday, February 16th, 2010 at 10:00 am and is filed under Resume and Pitch Strategies. You can follow any responses to this entry through the RSS 2.0 feed. You can leave a response, or trackback from your own site.